Home → Handy Hints → How to Prevent and Manage a Burst Pipe Melbourne. How to Prevent and Manage a Burst Pipe Melbourne. Whether you own your home or live in a flat, a burst pipe can ruin your life. One second you’re fast asleep, the next you wake to water pouring from the ceiling and a flooded home. A burst pipe Melbourne is one of the most common plumbing problems plaguing both homeowners and public buildings. Today we’re going to discuss what causes pipes to burst and what to do. Additionally, we’ll look at the different steps to take to prevent a burst pipe Melbourne. To better understand how to handle burst pipes, it’s important to know the different reasons a pipe may burst or crack. One of the most common reasons is water freezing during the winter. While the temperature does not tend to dip below freezing in Melbourne, it’s still crucial that Melbourne homeowners and renters understand that pipes can burst if there is a sudden temperature drop. A lesser-known cause for a burst pipe Melbourne can be a pipe collapsing due to environmental factors. Nearby construction can move soil weight around and onto your pipes, which will then crack and burst. Just as there are several paths that can lead up to a pipe breaking down and bursting, there are also a variety of common outcomes. For instance, one frequent result of a burst pipe Melbourne is a flooded basement. Electronic devices including televisions, personal computers, or laptops, tend to be right in the line of leaking water. Since water causes most electrically-powered devices and machines to short circuit, broken electronics are another common result of a burst pipe Melbourne. As the above examples illustrate, burst pipes can cause a huge amount of damage to one’s home and keepsakes. If you find a pipe leaking, the severity of the leak will determine if you need to call a 24-hour emergency plumber or can wait until your usual plumber is available. Either way, you will need to have a plumber come to assess the damage from a burst pipe Melbourne. If you think you have a burst pipe Melbourne, look around the house for water spots on the walls, floors, and ceilings. Water pressure loss, electrical outages, and strange noises coming from the plumbing system can all point to a burst pipe Melbourne. Finally, if you believe the burst pipe Melbourne to be in the street, immediately call the local authorities as the water pressure can build up and explode. First, when moving into a new home or flat, learn where the stopcock is so that you can turn it off in the case of a burst pipe Melbourne. Also, familiarize yourself with your plumbing system and check for any possible leaks or fractures in the pipes. During any cold periods, leave the heating on at least 12 degrees centigrade to prevent freezing. Regularly service your central heating system and be sure to always fix any dripping taps or existing leaks, which can lead to a burst pipe Melbourne. As we’ve discussed above, there is a wide range of causes, effects, and solutions to a burst pipe Melbourne. But perhaps the most common cause is not taking the above steps to prevent your pipes bursting. Conduct annual reviews of your plumbing system to ensure that you are on top of any issues with the plumbing. Taking preventative steps today can reduce the damage that could happen tomorrow if a pipe were to burst. 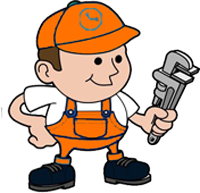 And finally, always have an emergency plumber Melbourne on speed dial in case you are unable to get the situation under control.